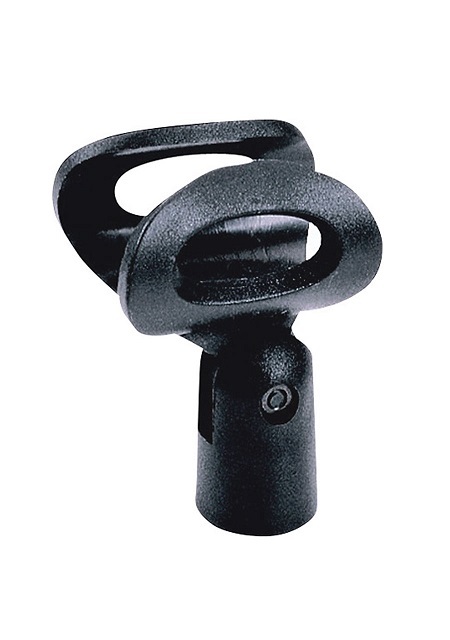 Unbreakable elliptical slip on microphone clip. Metal US standard mounting threads. Fits most popular mics.